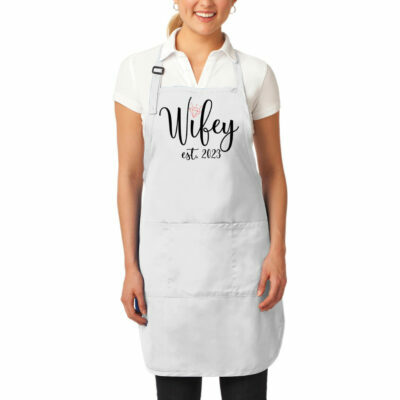 Does the bride love to cook? 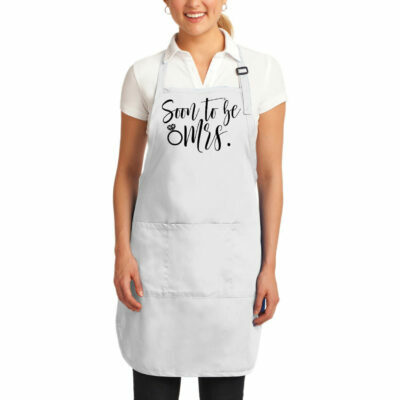 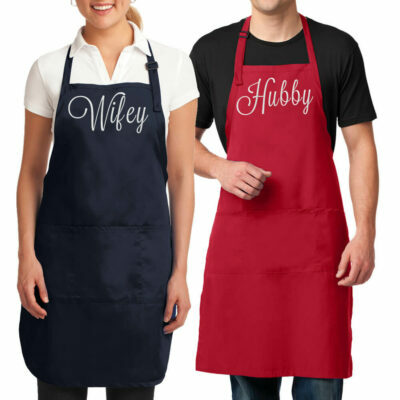 If so, our personalized aprons are the perfect gift! 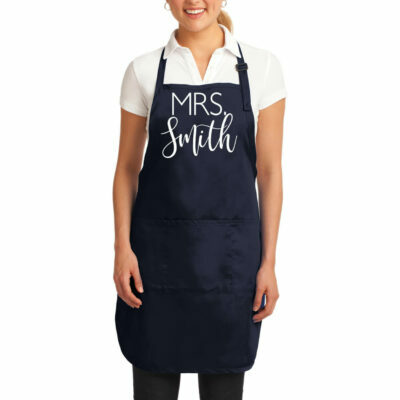 Our aprons come in a variety of designs, many of which can be personalized in 40 different thread colors and 10 different fonts. A custom apron is wonderful gift for every cooking enthusiast. We also offer bridal aprons that feature designs that showcase the bride's new name. 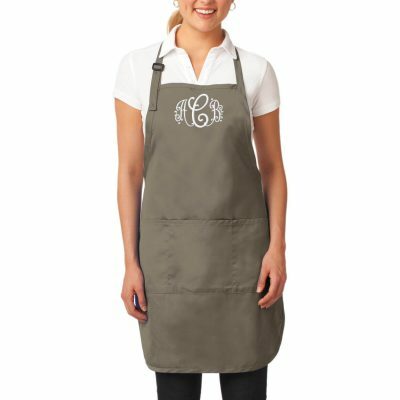 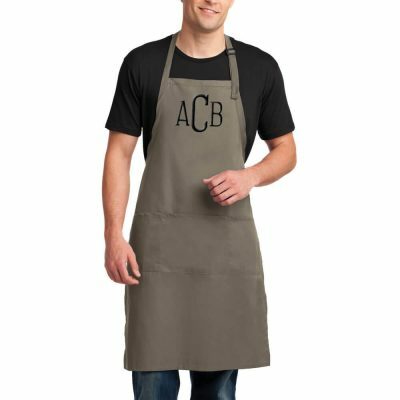 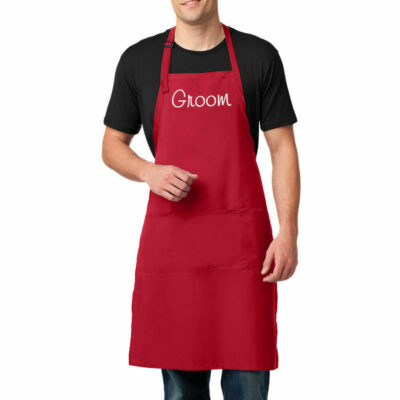 If you are shopping for a groom or groomsman that loves to cook, we also offer a more masculine monogrammed apron. 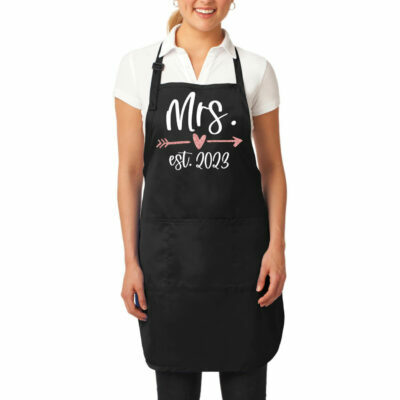 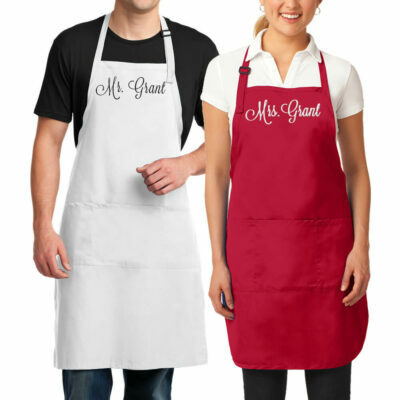 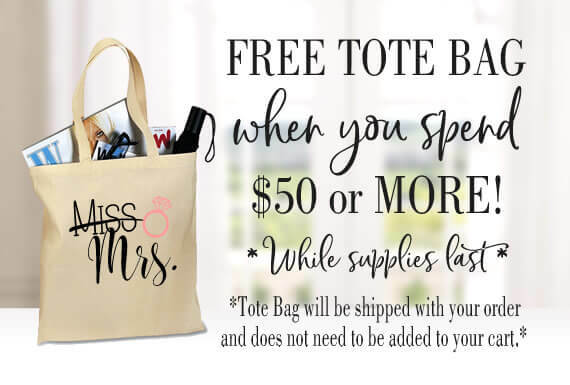 Our bride and groom apron sets are also a great bridal shower gift! 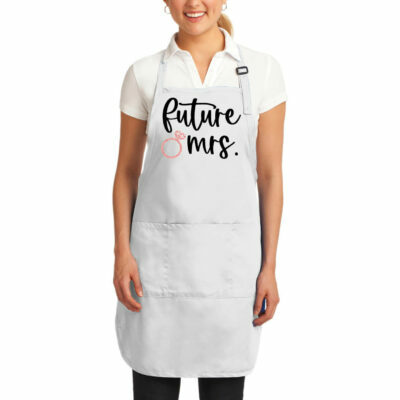 All of the guests at the bridal shower will be raving about these adorable aprons! 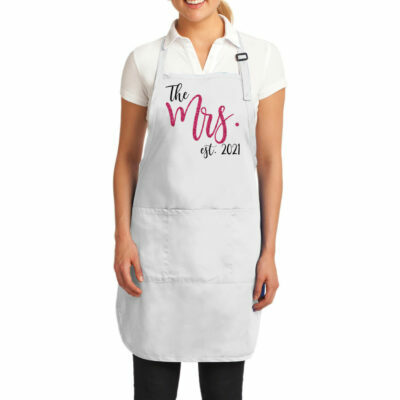 Or, if you are having a cooking party with your bridesmaids, we offer aprons with names on the front! 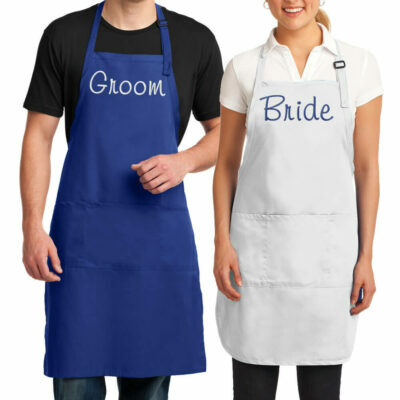 Matching aprons equals fun party pictures!